Most people looking for a home end up with a previously owned home. Right now it is cheaper to buy a house in Georgia than it is to build a house. There are several things to consider when purchasing or lease purchasing a home. A previously owned home may look great because it has just been painted but that doesn’t tell you the whole story. Buyer beware is a good philosophy to have in today’s market with so many choices. Often the best house to buy is the house that is ready to live in today. Time is important. If you want to do rehab that is great but takes time, money, skills and knowledge. The house we are looking at in this example was just refinished by professional remodelers with years of experience in under a month. Something as simple as hanging antique or wooden doors so they glide smoothly in the tracks is a skill not every homeowner or remodeler knows. At A O Home Solutions we use professionals for our remodeling work. The picture show one pro working on squaring up the door in every direction before it is rehung. Having everything work well on a door after removing carpet and adding trim and reinstalling new hardware is not as simple as it looks. No one like squeaky doors, doors that don’t shut all the way, do not lock, doors that hang crocked, or doors that are hard to open. 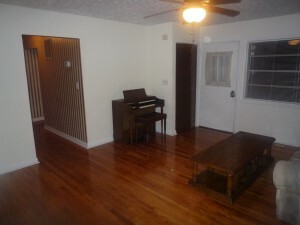 Buying a home with real hardwood floors is another area that needs to be checked closely before purchase. Professional remodelers know how to sand, prep, and put the right material on the floor to make it look like glass. A properly refinished floor not only looks great but is easy to clean for many years. A floor completed improperly can cause years of headaches and the poly coating can flake off. A floor sanded too deep can make it weak and change the structural integrity of the house. The laminate floors most people put in over plywood today look good but may have problems in as little as six months if not completed properly. Make sure the laminate wood floor is a medium or better grade has been properly glued or floated and trimmed so the edges are tight all through the house. If you are a rehabber, the options are endless for redoing homes to a specific period or remodeling and upgrading for today. There are advantages to doing the work yourself. There are also advantages to letting the pros do the work and then just moving in and enjoying the home. Not much can compare to purchasing a great home for less than it cost to build it. Clean and neat homes in the right neighborhood are not hard to find right now, if you know where to look. A O Home Solutions has many great deals in Georgia , McDonough, Stockbridge, Jackson, Forest Park and several metro Atlanta areas. Remodeling can be fun but can also be dangerous. Painting a home built before 1978 has some special rules due to the lead based paint used in and on houses built in 1978 and before. You can be fined for scraping and repainting your own home today if it was built in that period and you the owner and/or the painter have not taken and received proper certification to work on houses. The fine is over $30000 in Georgia. Does it sound odd that you can get fined for remodeling your own home? After all who is to know you painted and scraped a wall if you do not tell anyone right? That is not the point. Safety is the point. 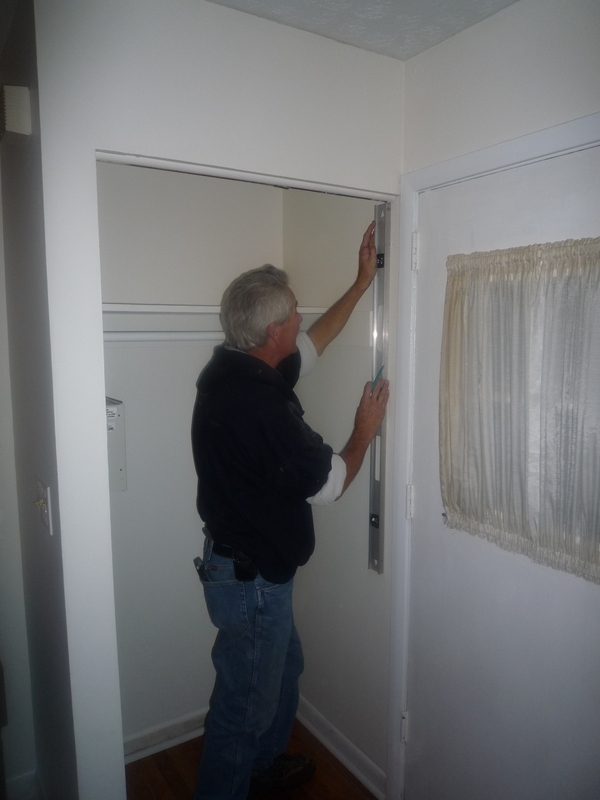 There are safety and health issues involved with scraping and repairing walls in an older home. Great deals are out there everywhere but make sure you know what you are buying when you pick that Ideal Georgia Home or a house where ever you wish to live. Owning Your Own Home is a great long term investment.